Fabricantes de Menaje, a leading Company in the design and production of housewares and hostelry products, manufactured by plastic injection, in order to satisfy the necessities of our customers. Therefore, all the activities and business processes of the company are oriented to our customers and the final consumer. FAMESA was founded in 1977 in Cadrete, Zaragoza, and currently employs almost 50 people at its facilities of over 6,000 m2, with 11 injection machines It is present in over 15 countries and exports right now represent almost 25% of the annual turnover. 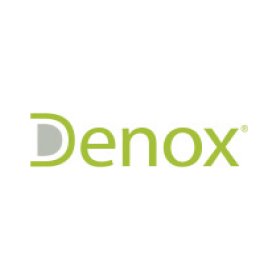 All products sold by DENOX reflect the values ​​of the company. Classified into five families: Containers, Kitchen, Organisers, Cleaning and Bathroom, are products of the highest quality, prepared for the daily work of professionals. Our Company offers a wide range of articles adapted to the new needs of our clients, with a modern and attractive design. FAMESA remains committed to introduce one novelty per year, providing value-added products differentiated from the competition, knowing that the market is increasingly competitive and customers are more demanding and better informed. We hope our customers value these developments positively reinforcing the trust they have always placed in us.